Ever run into this error? You may see it when attempting to install or upgrade Symantec Endpoint Protection Manager. I ran across it recently when upgrading to SEPM 12.1.5, but I’ve seen it on previous versions as well. Symantec Endpoint Protection Manager has detected that there are pending system changes that require a reboot. Please reboot the system and rerun the installation. This may seem like an easy fix. Just reboot the server right? But oddly it never works. Regardless of how many times you reboot this message will always crop up. Symantec has announced Backup Exec 15. This product will go into beta first quarter 2015. Although no date has been specified. One of the biggest changes is that Symantec has dropped 32-bit support for its Media Server. This means that your media server can only run on a 64-bit operating system. 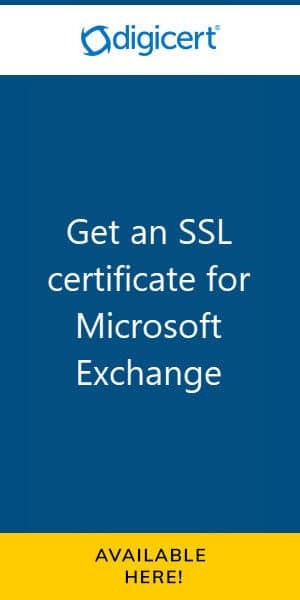 This won’t be a big shock for the Microsoft Exchange community. Exchange Server has required a 64-bit media server for some time. Whether Symantec will support a media server on Windows 2003 is left to be seen. My guess, sometime between the beta and general release, Symantec will make 2008 a minimum requirement. Especially with Server 2003 going end-of-life in less than 8 months. Symantec Backup Exec 2012 was received with mixed reviews when it launched. Many complained about the new GUI. Others did not like the new server-centric mindset that had replaced the traditional job-centric method. The list was extensive. The good news was that Symantec listened very closely to their user base. And kudos to Symantec for doing this! They realized they had made a mistake and promised to bring back everything users had loved about previous versions. They dubbed this project Backup Exec 2012 Release 2. Release 2 would also include added support for Exchange 2013 and SharePoint 2013, such as allowing granular restores. At present, only full database restores can be performed on these two products. It would also add support for Server 2012 as a Media Server. Release 2 went into beta late last year. It had a proposed release date of June 2014. ‘So, what’s all this ditching Release 2?’ you may ask. The beta program for Backup Exec 2012 Release 2 has been announced. ‘Okay, but what is changing in Release 2?’ you might say. Well, quite a lot actually. And, from what I can see its all good! As many of you are already aware Symantec Backup Exec 2012 was received with mixed reviews. Some loved all the new features, others liked or disliked the new GUI, and lastly, some didn’t care about the new Server-Centric model that had replaced the Job-Centric model from previous versions. Personally, I quite liked the product but I did see some oversights that I had described in some previous articles. But those were never a deal breaker for me. I recommend reading these posts for a fuller picture. Release Update 4 for Symantec EndPoint 12.1 now available! Release Update 4 for Symantec EndPoint 12.1 is now available. It can be downloaded from FileConnect by customers with current maintenance and as a trial from the public site for those that wish to try it out. In addition to this, there have been a lot of features added on the Mac OS side. Symantec had seen a dramatic rise in malware targeted towards the Mac and 12.1.4 is the response to that. One such example was the Flashback virus which affected approximately 600,000 Mac computers back in 2012. In fact, Symantec reports that the number of malware variants in 2012 almost doubled for the Mac. Symantec proposes that this huge increase in Mac malware coincides with Apple’s continued market share growth, especially in the enterprise. As this market share continues to grow Symantec estimates so will the malware variants. To combat this growing threat [Read more…] about Release Update 4 for Symantec EndPoint 12.1 now available! V-79-57344-38273 – Cannot get the virtual machine XML information. V-79-57344-38273 – Final error: 0xe0009581 – Cannot get the virtual machine XML information. This error can be caused by a number of problems but in my case it was a very simple fix and, it may be for you too. [Read more…] about V-79-57344-38273 – Cannot get the virtual machine XML information.